Medieval bronze belt buckle is made according to the historical analogues of the XIII-XVI centuries. 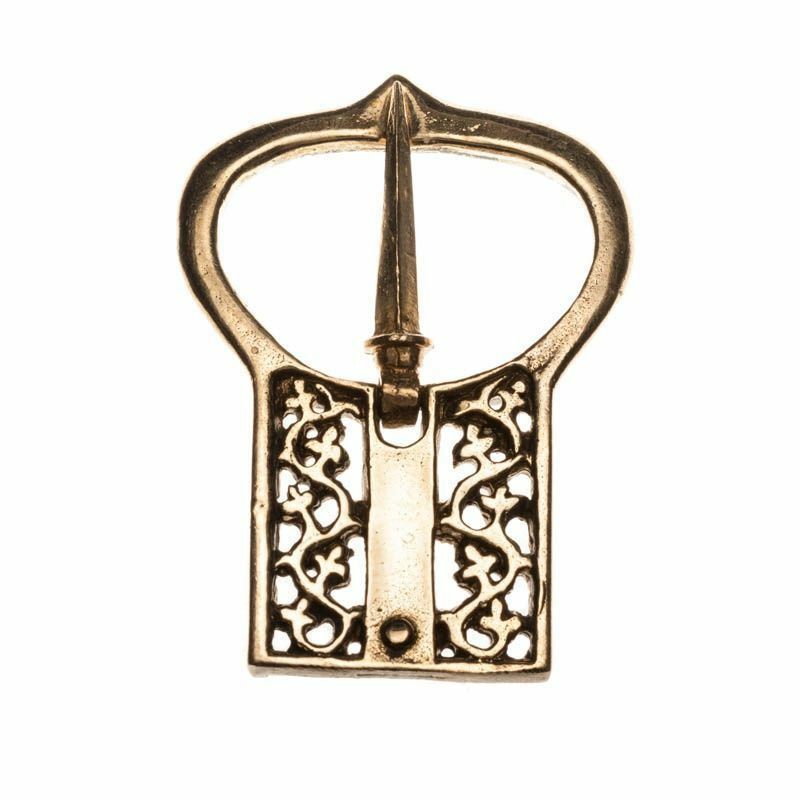 It looks very elegant: locking prong between heart-shaped oval and ornamented rectangle. Such buckle will be perfect addition for brown or black belt of natural leather. It is suitable for men or women medieval garment. Buckle is durable and reliable; it keeps fashion trends and style of the Middle Ages. 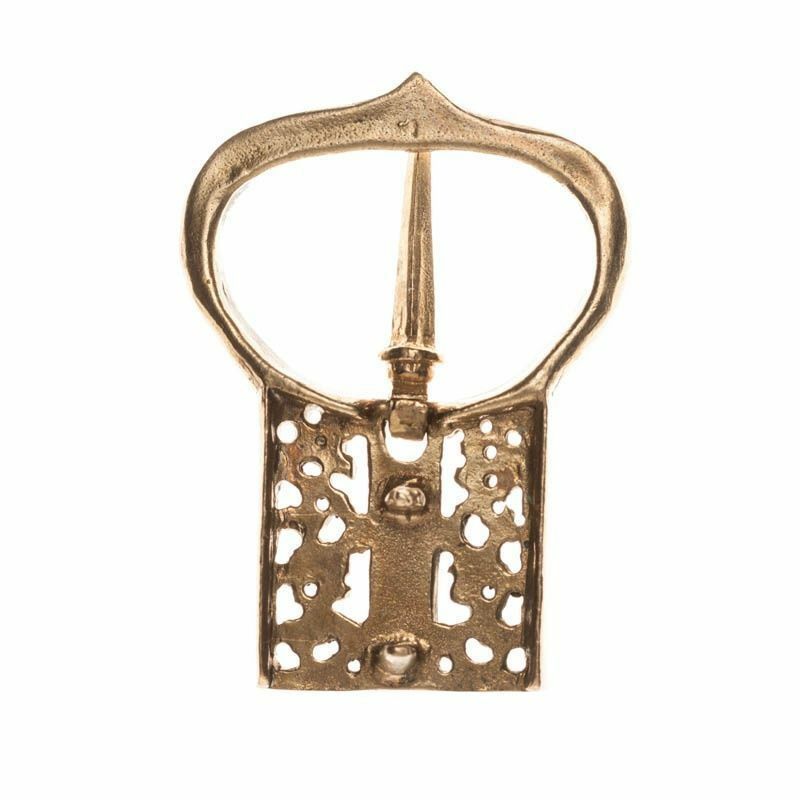 Medieval belt strapend "Anchor" of the XIV-XV centuries perfectly matches this buckle. Buckle size: 22 x 50 mm.